If you want to save money on ink, consider buying an HP printer and using the HP Instant Ink Program. Read on to learn more. Copy. Print. Scan. I use all these features found on printers today. I scan items for work. I copy things for homeschool. And I print coupons, stuff for church, business documents, and more. I use my Canon printer every single week, which means I use quite a bit of ink regularly. Because of this, there is almost a constant pop-up on the bottom right of my computer screen that says “Ink levels low” every time I print something new. I ignore it until it’s so low that my printer refuses to print with it. No joke, right now three of the six ink levels have a large red X over them and one more has a large yellow exclamation point. They are mainly my colored ink cartridges, which means we’re stuck printing everything in black and white, preferably in draft mode. So, any cute printables I may download from various bloggers or websites or create myself are printed in a lovely grayscale in order to save money on ink. While we try to stay stocked on ink, and buy ink in bulk, sometimes we run out when we need it. We used to be close to a Staples, and I loved taking advantage of their ink recycle program to save money on our ink purchases, but the closest one isn’t that close, so we have a huge bag of empty ink cartridges waiting to be recycled. We used to be close to a Staples, our preferred office supply store, and loved taking advantage of their ink recycling program to save money on ink purchases, but the closest one isn’t that close, so we have a huge bag of empty ink cartridges waiting to be recycled sitting in our desk. I really wish that when we replaced our 7-year-old printer at the end of last year, that we knew about HP Instant Ink. Unfortunately, I only heard about it a couple weeks ago. It sounds so amazing though that I knew I had to write about it and share it with all of my readers. As a work-from-home, homeschooling mom, with a church calling, who likes to print things from home, I am certain we’d save a lot of money, never have to worry about running out of ink, and print in color all we want, if I had an HP Instant Ink eligible printer! Let me tell you why I think this ink program sounds amazing, especially if you print often (or want to). HP has created several printers that communicate with HP headquarters which automatically tells them when your ink is running low, sends you an extra, extra large ink refill cartridge at no cost, supplies a prepaid envelope for you to mail back your old cartridges to be recycled, without you having to do a thing. You simply pay a low monthly subscription cost, which can be canceled anytime. If you don’t have one on this list, you really should consider buying an HP Instant Ink Ready printer. The price point ranges from about $50 on the low end to over $200 on the high end. And the savings on ink will more than makeup for the cost of buying a new printer. There are three Instant Ink Program plans: The Occasional Printing Plan, the Moderate Printing Plan, and the Frequent Printing Plan. Each plan is month-to-month with zero annual fees, zero shipping costs, and can be changed or canceled at any time, at no charge. Each plan is charged based upon the number of pages you print, not how much ink you use. And, bonus: unused pages can roll over (up to a certain allotment)! The great thing about this is that you can use as much color or black ink as you want on our allotted printed pages plan. That means it could be 50 full-color PDF pages or 5×7 photos and you would still only pay $2.99 that month! Talk about huge savings for anyone who loves to print in color or print their own photos from home! AND right now until May 22, 2017, you can Get 3 Months Free! Use Promo Code 3MONTHS when you sign up for HP Instant Ink! If you go over your allotted number of pages each month (and your total number of printed pages is easy to track on your HP Instant Ink Account Dashboard online, by the way), they only charge you $1 for every 25 pages. Your printer will do all the work of ordering new ink cartridges for you. There is no running out to the store for more ink at the last minute because the printer signals to HP that your cartridge is low and simply ships a new cartridge to your door at no additional cost aside from your Instant Ink subscription plan’s monthly cost. Shipping is free, and they include a prepaid envelope for your old cartridge so they can recycle it. HP Instant Ink Program is currently available in the United States, Canada, Germany, France, Spain, and the United Kingdom. Ink cartridges are expensive. Really expensive. A combo pack of ink for my current Canon MG 7520 Printer is $47.67 on Amazon right now. I’d say we’d easily go through two boxes in a year, and it doesn’t include the gray individual tank which costs an additional $12.99, which we use at least two of in a year. That works out to $121.32/year for ink (minus any taxes and shipping or fees), or about $10.11/month, which is equivalent to the HP Instant Ink Program’s 300 pages/month plan. We, however, do not print 300 pages a month (or ~10 pages a day)! My printer’s ink cartridges are small and don’t hold a lot of ink, and we are often forced to print in grayscale in order to save money on ink, because colored ink is always the first to go. Plus, keep in mind that the HP Instant Ink cartridges are BIGGER than the XL HP ink cartridges you can buy in store or online! Some people say their ink from HP Instant Ink lasts over a year, some as long as two years. HP boasts that you can expect yearly savings of $96 on the occasionally printing plan, $204 on the moderate printing plan, and $672 on the frequent printing plan. And I believe that’s pretty accurate, assuming you do print often, using up most if not all of your allotted pages each month on your plan. Save up to 50% on Printer Ink Replacement with HP Instant Ink! Receive an Additional 3 Months Free - Use Promo Code 3MONTHS and Sign up Now! Doesn’t this sound A-MAZ-ING?! I love saving money, hate running to the store, and would love to not think twice about printing in color! Maybe with this service, I’d even finally start printing off (and displaying) pictures of my kids more around home (our 18-month-old has yet to make an appearance). Or scrapbooking! Okay, maybe I’m getting a tad carried away with that last idea. But, you get my point. Now I just need to decide which HP Instant Ink Enable Printer to get (and find someone to take our current one off our hands). 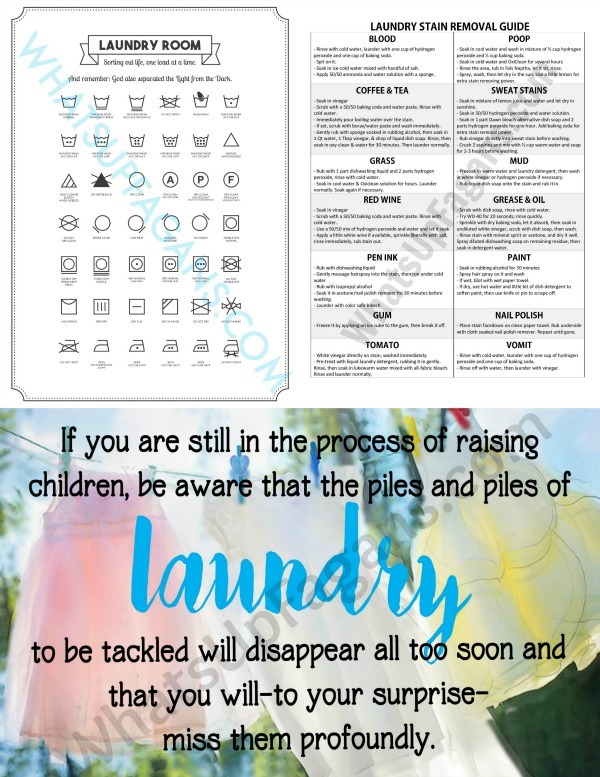 Afterall, I have some homeschool worksheets to copy, my Cleaning ebook to print and reference, and scripture printables to print and display around my home! Are you as excited about the HP Instant Program as I am? How often do you print things at home? Great read, always looking for extra ways to save money. I just wanted to share something I’ve been doing recently. I run an office and have noticed that unused toner was piling up in storage. Looked into returning but that was no good. Tried out the site http://www.tonerconnect.net/ and was impressed. They had quick service and that payout was nice. LOVE, LOVE, LOVE! I NEED TO PRINT IT ALL. IS THE HP INSTANT PROGRAM STILL RUNNING?? I WAS LUCKY ENOUGH TO HAVE ONE OF THE DESKJET’S! I AM RUNNING ON ZERO INK BUT I CANNOT GET THE LINKS TO WORK. THANKS FOR LOOKING INTO THAT FOR ME! My apologies about the links! They canceled their affiliate program, so the link were no longer working, BUT the program IS still up and running. Here’s the link – https://instantink.hpconnected.com/us/en/ And I updated the links in the post. Good luck! Great information. I really want to save money on printer cartridge. In my view getting your used ink cartridge back to the manufacturer in the mail is the best idea to save money and recycle the ink cartridge. Great idea, I really want to save money on the printer cartridge. The way I read that line is that if the HP Instant Ink cartridge can’t connect to HP’s servers it will stop printing. This doesn’t mean that the printer won’t work – it just means the ink cartridge will report to the printer that it’s not ready to print, effectively preventing the printer from printing. Swapping out the ink cartridge with a regular cartridge should resolve this. The printer will still work even if it is not connected to the internet. For instance, I can print documents that are already saved to my computer without connecting to HP. HOWEVER, the printer (not sure how they do it) is still keeping track of the number of pages printed. When you do reconnect, the number of pages printed will automatically update. And yes, the only way to print without using Instant Ink and having them track pages is by switching the cartridge to a non-Instant Ink cartridge.